We’re gathered here today to announce the departure of a beloved friend. Microsoft TFS and VSTS are no more. Alright, that was probably a bit dramatic. Microsoft is rebranding their development tools and associated services. They just announced it today. TFS and VSTS will, henceforth, be known simply as Azure DevOps. This rebrand really means two things for those of us in the Microsoft developer universe. First of all, we get to simplify a lot of the naming and discussion about the tools. But, it’s also a bit more than just a change in language. The product stack itself is being retooled and will be made to appeal to a larger set of developers worldwide. Maybe the most important thing about this whole rebrand is that the new naming convention is going to save my fingers about 3 billion keystrokes per year. We’ll no longer have to refer to “Microsoft TFS or VSTS” — it’s just one major product umbrella: Azure DevOps. Microsoft will differentiate the on-premise version as Azure DevOps Server and the hosted version as Azure DevOps Services when necessary, but the functionality should be in parity. So we can just refer to Azure DevOps as a whole in most cases. Less typing for me. More clarity for you. Cool. In reality, the core of the rebrand and new product launch is that the associated services will be broken out and can be added or removed from your stack a la carte. This new model is a big step. The Microsoft TFS and VSTS products are being rebranded as a suite of services called Azure DevOps. But, that’s the umbrella term that actually refers to 5 separate products that are available to all Azure DevOps customers. So, not only can you pick and choose which of these services you want or need from Microsoft, but you can also integrate most of these products with other, analogous tools. In other words, if you don’t want to use Jenkins or Git or Chef or Puppet or pretty much any other service out there, you can still keep that as part of your stack while using other components from the Azure ecosystem. Zooming out a bit more, this actually signals a larger shift for Microsoft and their software development products. Rather than building a closed sandbox, they’re expanding to embrace open-source platforms and developers in different types of ecosystems. 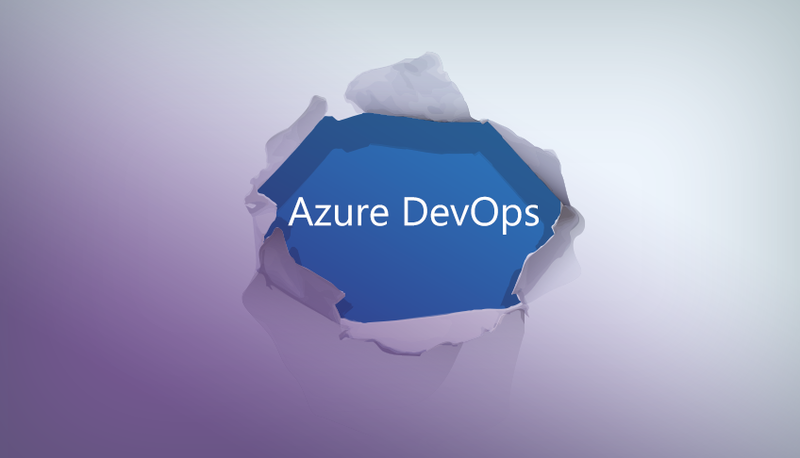 As the Azure DevOps products come to market, one thing that the new system will allow is for more developers to use and integrate these tools into existing systems. Traditionally, TFS and VSTS have been pigeonholed as mostly for large organizations and primarily for .NET shops. But that really hasn’t been the case for a while and this rebrand is meant to reflect the evolving product line that’s available. With Azure DevOps, more teams and engineers should be able to jump into the community. Small to medium-sized shop? Sweet. Just a gal hacking in her garage? Let’s do it. We should also see Microsoft come to embrace the broader development ecosystem by integrating with more tools and open-source technology than ever before. What does this mean for 7pace? In the immediate future: Nothing. Our extension will remain the same in functionality. We’ll be updating the name in the coming weeks. But we will be working closely with the team at Microsoft to look for opportunity to evolve our product along with the new suite of tools and services. We’ll integrate with any new features that may evolve from the new ecosystem. And we’ll probably tweak the language on our site and extension page to make sure it’s clear exactly how and where we plug into the stack. We’ll also be updating the design and UI of 7pace to match the new Azure branding guidelines, but the details haven’t been fully developed. In the meantime, don’t panic. This is one of those good changes and we’ll let you know if there’s anything else important you need to know.